Due to genetics, age or injury, our spinal discs break down, or degenerate, which may result in degenerative disc disease. 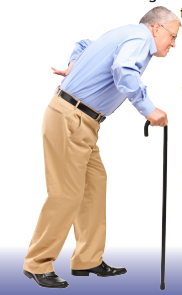 With symptomatic degenerative disc disease, chronic low back pain sometimes radiates to the hips, or there is pain in the buttocks or thighs while walking; sporadic tingling or weakness through the knees may also be evident. Similar pain may be felt or may increase while sitting, bending, lifting, and twisting. 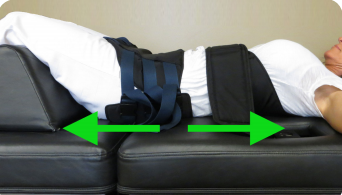 How does Spinal Decompression help? While lying comfortably on the spinal decompression table, gentle specialized traction forces are applied until decompression is achieved. Decompression produces a negative pressure inside the discs that acts like a vacuum. This negative pressure produces an influx of fluid and minerals which helps the discs to heal. Then with the addition of specific nutrients and minerals through supplements, the influx helps the discs to heal, become more flexible, more hydrated and even taller. 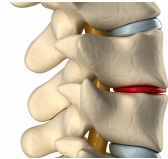 As disc bulges or herniations are drawn in, or as the discs begin to regenerate, pressure is taken off of the nerves and surrounding structures relieving the patient of pain, numbness and tingling. During a session of spinal decompression, you will notice a slow lengthening of your spine as your discs are gradually decompressed and relieved of pressure. The treatment process is safe and relaxing. While some patients with extensively injured discs have reported mild discomfort during the first few treatment sessions, their discomfort generally subsides upon subsequent visits. About 20% of patients will start seeing relief of pain within the first week. Around 40% of patients will have significant relief within 2–3 weeks. The remaining 20% will get significant relief between 4–6 weeks. Less than 20% will experience no relief or minimal relief. Very rarely will a patient get worse.